CECA & ACOJE ASSOCIATIONS. QUALITY GUARANTEED. 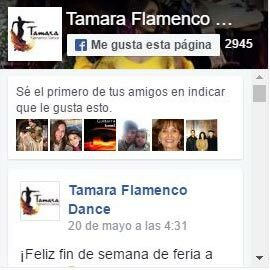 Tamara Flamenco Dance is part of Retail Business Confederation of Andalusia (CECA) and Downtown Retail Association of Jerez (ACOJE). Also we are part of "Jerez shopping Mall" project in partnership with Jerez de la Frontera town hall . If you want information on these associations and how they guarantee the quality of all its trade members, we invite you to visit their respective websites, clicking in the name of each one of the above named associations. In addition, as you can check in our section: Guaratee, Exchanges and Returns, all our products are 100% guranteed. 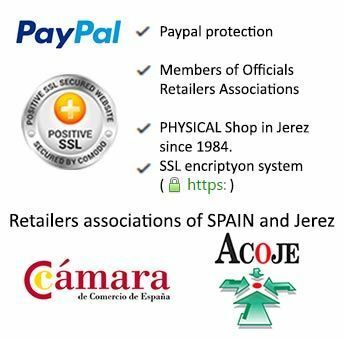 Tamara Flamenco Dance, thanks to the Retail Business Confederation of Andalusia his help to participate in the the European Union WIDE project.